Lemons and limes are commonly known for their cleaning powers around the house, but for centuries they have also been used as powerful, natural body care products. They contain alpha-hydroxy acids (AHAs) which act as exfoliants, rejuvenating and cleansing your skin and leaving you feeling refreshed. Lemons and limes are both from the citrus family of fruits, but offer slightly different benefits. Lemons have been used in traditional skin care recipes all over the world. They are an essential oil and, in addition to having a refreshing and stress-relieving fragrance, they may have antibacterial effects, as suggested in a 2006 article published in the BioMed Central Complementary and Alternative Medicine Journal. 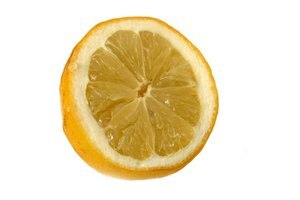 For facial cleansing, lemons are particularly useful for oily skin. They can help prevent blackheads, and can also help relieve skin ailments like acne. They make excellent exfoliants, as the AHAs they contain loosen dead cells on surface of the skin. Lemon juice can simply be combined with water to make a cleansing solution to use each night. This works particularly well with oily skin; however, caution is required as it may dry out your skin, so make sure to follow up with moisturizer after using. Alternatively, combine 1 part lemon juice with 2 parts honey to soften the skin, or treat rough skin with almond and milk cream combined with lemon juice. Combining a few drops of lemon with a teaspoon of tomato juice is a traditional treatment to shrink enlarged pores. Mixing lemon juice, cucumber juice and rosewater will make skin smoother and glow. While lemons are a more common ingredient in beauty care, and more familiar as an essential oil, limes have a long history as well. They were used by the ancient Egyptians, who mixed them with animal fat and perfume to make powerful body cleansing lotions. There are different kinds of limes. For beauty care, sour limes (also known as acidic limes) are preferable to sweet limes, as sweet limes do not contain much of the acid which has the main cleansing properties. Lemons and limes both contain AHAs, which are responsible for their exfoliating properties. It also means they have similar drawbacks and dangers. According to product and ingredient safety information provided by the FDA, AHAs are associated with photo-sensitivity and may act as skin irritants. FDA research also suggests that AHAs also cause people who have recently applied them to be at a higher risk of sun damage. However, there's no difference whether the AHAs are found in lemons, limes or any other citrus fruit. Therefore, if a skin care recipe asks for lemons but you only have limes, or if you simply prefer the fragrance, there should be no problem substituting one for the other. 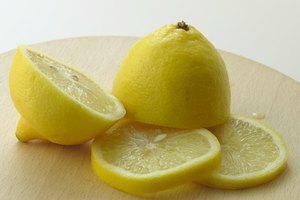 Lemon-Info.com: Is Lemon Juice Good for Skin?